The injury was childbirth-related. The hip damage that happened during delivery of my 3rdchild meant I was never able to fully recover from postpartum. I have hip dysplasia, which unfortunately makes me a less than ideal hip arthroscopy candidate. However, I persevered, and I have zero regrets about the surgery in hindsight. It was the best thing I could have done, and had to do, to recover and overcome pain. For those of you out there with dysplasia, yes, it is a more difficult road but you can still have great outcomes with hip arthroscopy. I am involved in both land and aquatic therapy and have been for weeks. The water provides two purposes. The hot water from the spa makes it easier for to me to do scar mobilization, gait training, and basic mobility exercises, especially as cooler weather sets in. The tissue is more responsive and pliable, and pain is greatly reduced. The deeper water in the saltwater cooler pool makes it easier to practice ambulation at greater distances and to do large range of motion movement. It also makes progression to independent walking easier and more natural. The land portion of therapy is two-fold. Half of my time is spent in manual therapy for the hip and pelvis, which also includes dry needling, and the other half is spent doing therapeutic exercise, which also includes modalities like electrical stimulation, since not all my muscles are coming back “online” in an orderly fashion. This means muscle recruitment is challenging due to my prolonged inability to fully recover from giving birth a third time. I’ll share more in future posts about how useful e-stim can be for gait training and weaning yourself from crutches to a single crutch to a cane. It’s also safer to wean this way instead of going “cold turkey” (just going from crutches to nothing at all) and weaning protects the surgery by preventing falls, overuse injury such as psoas tendonitis (which can compress a new labral repair), and allowing muscles to ramp up to full strength instead of just throwing them out of the proverbial nest and into the world and expecting them to perform at full function. Why Did I Choose Surgery? To answer your question, the literature reviews I’ve been doing on hip labrum injury (HLI) and femoracetabular impingement (FAI) for the last 3 years coincide with the duration of my own injury. 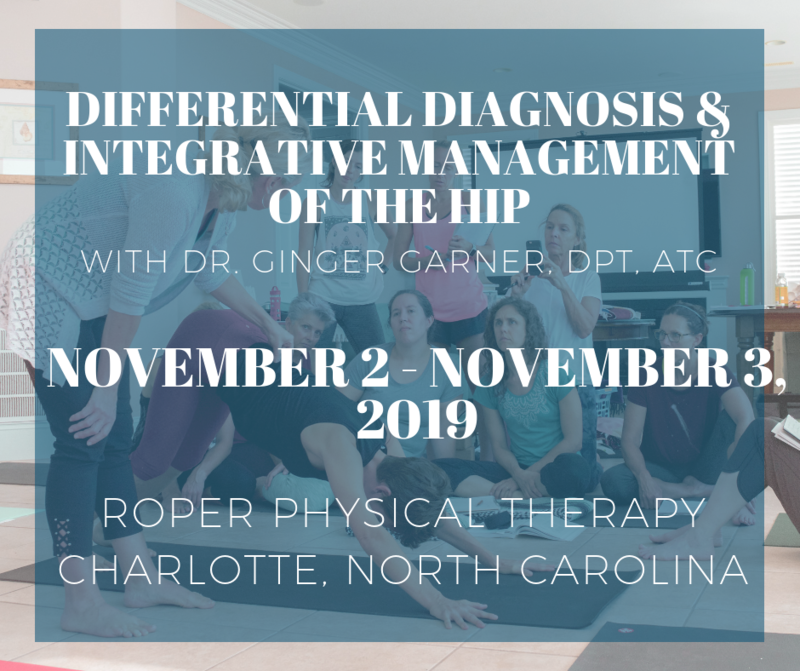 I became intensely interested in the hip as more research began to reveal there were more options than just basic tendonitis-type diagnoses or waiting until the pain and arthritis was so bad that a hip replacement was necessary. My decision was made over that 3-year period. Ultimately, I decided that, based on current evidence-base and the greatly improved surgical technique and approaches that evolved in front of my eyes, that I wanted to preserve my hip seal/intra-articular pressurization in order to minimize premature aging of the joint. In other words, I want to avoid a hip replacement for as long as possible, and maybe avoid one altogether. Additionally, my FAI was tearing up the labrum each day that passed, so by the time they got into the joint it was full of blood (synovitis). Thankfully, no osteophytes were found at all, and the articular cartilage was intact, which puts me in the best prognosis category. Finally, the real clincher was that conservative therapies had been utterly and completely exhausted, the joint was very unstable due to dysplasia and the long-term tear, and yet I was as strong and balanced NM as possible given the injury. Functionally, because of the destabilization and FAI – my activity continued to regress until at the end, when I decided to have surgery, I was unable to walk even through the grocery store or sleep without pain. There are obviously lots of reasons that I didn’t list that helped me make the decision to have surgery (including having access to great HLI surgeons here in NC), but these are just a few that influenced my decision. Why is a made bed important to progress? This week gave me a little gift. The first day I could make the bed on my own. Now, I can’t lift the comforter onto the bed (it weighs a ton), but I did put on the sheets (a struggle because they are tight) and then make it again when I got up today. THAT is a big accomplishment in my post-operative world. Why don’t I express gratitude for the little things like this during ordinary time? Because before now, I took for granted that I’d always be able to walk. From now on, I’ll be sure to celebrate the little victories. And this week, it is making the bed own my own. First day with using only 1 crutch ALL DAY LONG inside my home only, and with NO pain!Mind you, more than a few timid steps without an assistive device causes groin pain (remember even though I had surgery I still have hip dysplasia, which means my labrum is at risk for re-tear far more easily than the average patient). See the video below to capture the early attempts at this, and you can appreciate how I’m starting to progress. I used the handrail plus 1 crutch today to take on the stairs 1 at a time!I realized quickly that my operative (side of surgery) quadriceps and hamstrings are not (yet) strong enough to stabilize the knee, resulting in distal femoral shear over the tibial plateau (the upper leg bone sliding over the lower leg bone), which really hurt! First time I could sit in thunderbolt with partial weight bearing without knee pain! First partial child’s pose at about 100 degrees of hip flexion (sitting back toward heels) with FABER (flexion, abduction, and external rotation) range of motion (ROM)! Added active hip extension without anterior (groin) pain! I removed a big layer of blanket that hold my leg up to support it in FABER position, which means my FABER ROM is increasing and pain is decreasing in this position! My first land yoga sequence was done today – and included the first time I’ve been able to lay in sidelying on the operative side. This is a BIG milestone. In case you were wondering, I did that on a blanket fold I call “Ganesha Fold” or Kissing Elephants Fold. It is very comfortable and supports all the bony “hot spots” and right places in the spine, pelvis, and hip! Learn how to do this blanket fold here or below. This pose is a great restorative yoga pose to rest in and work on scar tissue or basic mobility. To practice, simply lay on your side over the blanket fold to encourage opening and mobilization of the spine and soft tissue. You can repeat on each side, resting there and practicing deep breathing for 3-5′ or as tolerated. See the deep breathing video below as well. 4.1 Abdominodiaphragmatic Breath with Tri-Diaphragmatic Action from Ginger Garner on Vimeo. This week I filmed myself walking for the first time with the help of a friend (and my youngest). There are videos with 2 crutches, 1 crutch, and in the future – when I’m ready, I’ll show you the one with a cane. When I was trying out 1 crutch, I have to admit I thought I was putting more weight on the operative leg. However, I wasn’t. That was a bummer to realize when I played back the video. But – the positive thing is I was able to walk with 1 crutch without pain. That’s progress I can use. I will say trusting the leg is difficult, and that’s part of the biopsychosocial “yoga” element to recovery. Everyone talks about physical recovery, but the emotional toll that rehab takes on your confidence and self-reliance is incredible. So please, if you are feeling “less than,” reach out to someone to talk about your experience. I drew on my faith, my family and friend support system (I’ve included all of these stories along the way in previous blog posts, see the links at the top), and of course, my yoga practice and spiritual belief system to get through those tough times. Next up, progression to quad cane walking and walking with no assistive device! Life is good! Need help finding a good hip PT? If you want to get these posts automatically, you can sign up for my Blogroll. It puts a single email in your inbox once weekly. No more, and with total privacy and respect for your personal information. I never share it with anyone, no third parties. Notta. This and all blog posts related to yoga and/or physical therapy on www.gingergarner.com are not a substitute for medical advice and are not a prescription or program for individualized physical therapy. You must seek the advice of your health care provider and, only after a thorough physical examination and clearance, participate in any movement or exercise program.